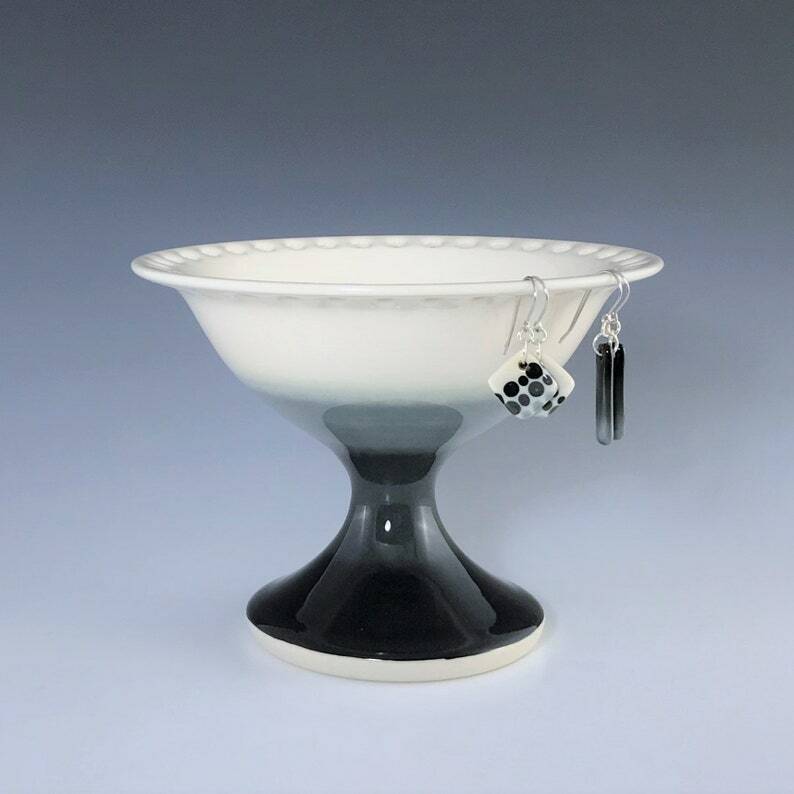 Ceramic pedestal earring holder with black and gray ombre pattern on creamy white porcelain with a clear glaze. 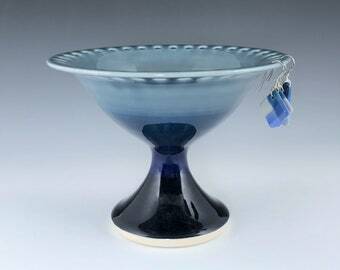 Size: Height 4", Diameter 6" at the rim. This listing is for the earring pedestal pictured. 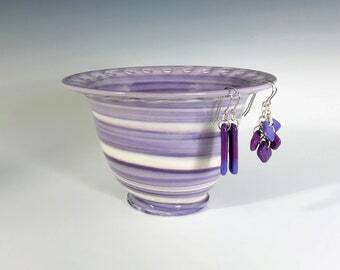 The handmade porcelain earrings are listed separately, if available. 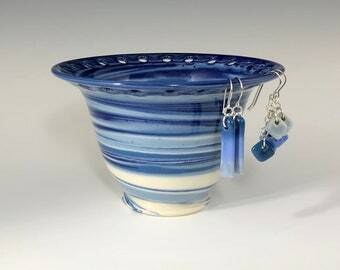 I made this earring stand on a potter's wheel using high-quality porcelain. The ombre pattern is hand painted using underglazes. I mix my glazes from scratch using only non-leaded ingredients. This bowl is food, microwave and dishwasher safe.